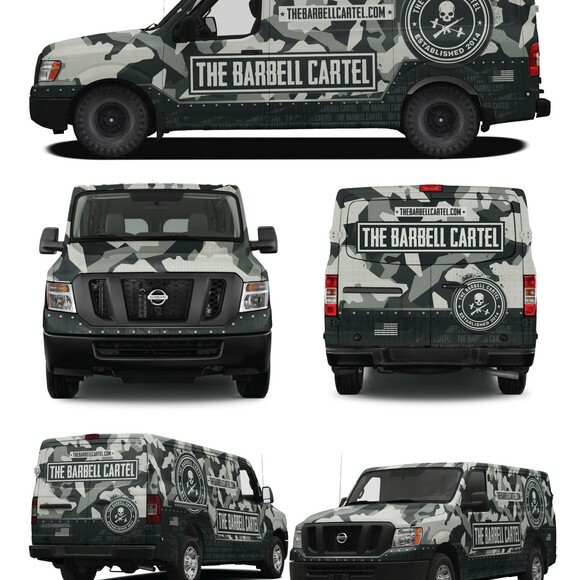 Whether you’re advertising your business or you own personal awesomeness, a customized van, truck or car wrap is a great way to promote your brand and look good doing it. Vehicle wraps turn you automobile into a moving billboard and get your name out there with a certain panache that traditional advertising can’t match… as long as your design looks good. If you want a vehicle wrap done right, you need to hire a top designer who has experience with the specifics of automobile design. That’s why we’re listing out the 10 best freelance designers for car, truck and van wraps, all available to hire now. Really, there are two ways to hire a freelance designer. The first is the traditional method of reviewing candidates and choosing the most qualified. But for vehicle wraps, it may help to see what you’re getting before you decide. In a design contest, dozens of designers compete for your bid with samples based on your description. First, you write a brief outlining what you’re looking for, and then freelance designers from all over the world submit their concepts. From there, you choose the finalists, give them your feedback, and pick your favorite. Design contests let you see multiple variations before you commit, so they’re the way to go if you haven’t quite settled on a final look. On the other hand, if you already know what you want the final design to look like, you can jump straight to finding the best designer to bring it to life. 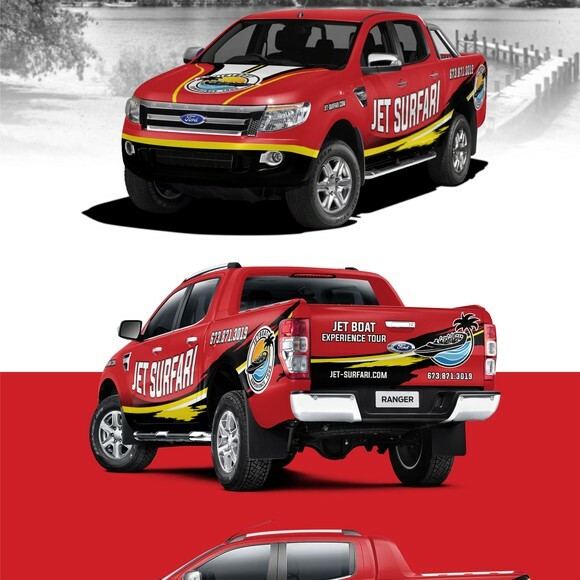 How did we choose these as the top car and truck wrap designers? It’s one thing to design something that looks amazing, but it’s another to design something that looks amazing on a vehicle. The contours of the side paneling, the restrictive shape and unintentional oversights when the doors open… Car, truck and van designs have particular obstacles other design fields don’t have to worry about. It’s best to hire a freelance designer who already knows how to overcome these hurdles. Here’s the criteria we used to handpick the top vehicle wrap designers. You can see a designer’s level clearly displayed in their portfolios, so you immediately know if you’re working with someone who has lots of experience and design chops, or someone who’s still young and hungry. As we said above, a car is not an easy canvas. Aside from looking at overall quality, we double-checked each designer on this list for experience in vehicle wrap design. The top ten that we chose all exhibit previous success in vehicle wrap design, based on design contest victories and client satisfaction. No matter how good the design is, there’s no excuse for a lack of professionalism. Judging off the feedback from past clients, we made sure all the designers on our list communicate throughout the process, deliver on time, and are generally pleasant to work with. To us, customer service is just another component of design skill. Are you ready to hire a sensational freelance vehicle wrap designer? With the best freelance designer, your vehicle wrap will really go places. Of course, style is objective, so if these top ten designers weren’t what you’re looking for, you can search through more of our designer community. Want to be matched to a vehicle wrap designer?